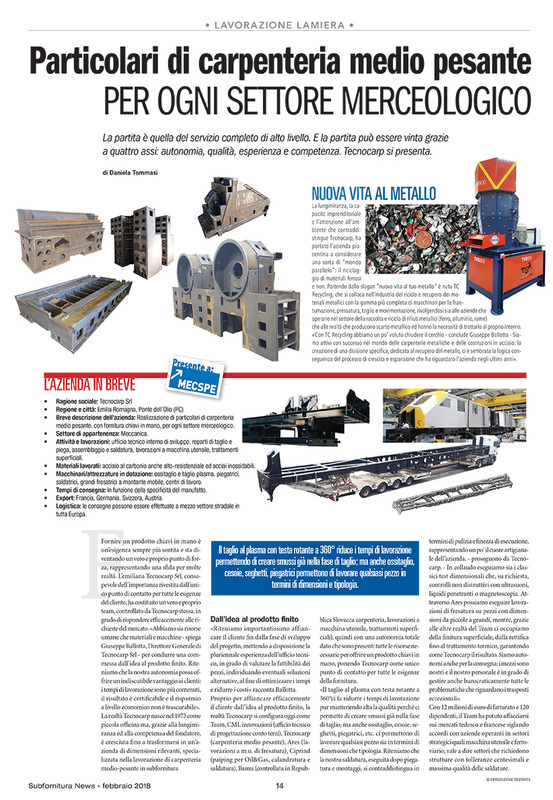 The renown Italian magazine “Subfornitura” just published an article about Tecnocarp and the company’s growing involvement in metal recycling. refers Giuseppe Ballotta during the interview. We would like to thank the magazine again and leave you the link to read the article! > Click here to see the magazine!